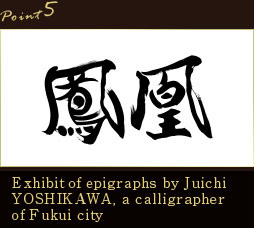 of "Fukui Station", JR Hokuriku Main Line. We provide a full range of rooms to satisfy the diverse needs of our customers. 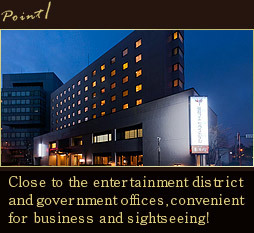 Enjoy your stay at this expansive location overlooking downtown Fukui from here. We also have a ladies only floor to provide peace of mind and comfort to our female guests. *The rates include room charges, service charges, and taxes. *The beds in the standard rooms or above are made by the Simmons. *Floor 7 is the floor for ladies only. *Floor 3 and 5 are for smoking. An internet connection using wireless LAN is available in our Hotel. Feel free to make use of this service. This facility is very convenient for small-amount laundry and long-stay guests. 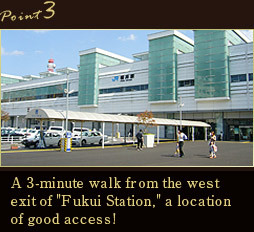 For dining in the Hotel, we recommend you Japanese/Teahouse Yoko kan on Floor 1. Sightseeing information Our concierge with full knowledge of the vicinity will give you sightseeing information. * No entry/exit from midnight to 7:00 am. * Extra charges will be paid by guests.